Tomorrow, 25 August, marks the 100th anniversary of Leonard Bernstein’s birth. Leonard Bernstein (1918 – 1990): son of Lawrence, Massachusetts and dog lover (among so many other things). “A man, a country and an era came together in Leonard Bernstein, the musician of the American century. Regarding either his music or his conducting, there’s very little, if anything, I can add to the myriad commentaries that have been appearing in both print and broadcast formats as the centennial has approached (offerings from The New York Times and NPR are especially good; consult Google). I can, though, comment on what I’ve always enjoyed most about his own music: the fact that it’s so often harmonically and rhythmically interesting. (And he had a knack for achingly beautiful melodies, too). Those qualities are on ample display in what is certainly Bernstein’s most familiar work, his score for West Side Story; it’s my personal favorite. (His Chichester Psalms, which I wrote about here, are a close second). A retelling of Shakespeare’s Romeo and Juliet, the musical tells the story of a love affair playing out in the midst of a gang rivalry (white Americans vs. Puerto Rican Americans). (Interestingly, an earlier version, East Side Story, envisioned a love affair between a Jewish girl and a Catholic boy on New York’s Lower East Side). The show opened on Broadway in 1957 and was made into a movie in 1961. Humphrey Burton, a friend and biographer of Bernstein, noted: “…West Side Story is universal. It touched a nerve at the time, and because the play was about bigotry, and the need for tolerance, it’s still as relevant as it ever was.” [Italics mine]. Bernstein later extracted nine sections from the West Side Story score and assembled them into an orchestral work called the Symphonic Dances, the world premiere of which, conducted by Lukas Foss, was at a February 1961 gala fundraiser for the New York Philharmonic’s pension fund (Bernstein was the NY Phil’s Music Director from 1958 – 1969). The concert, at Carnegie Hall, also featured Bernstein’s Overture to Candide (with Aaron Copeland at the podium). “Somewhere” (starts at 4:52): In a visionary dance sequence, the two gangs are united in friendship. Scherzo (starts at 8:54): In the same dream, they break through the city walls, and suddenly find themselves in a world of space, air, and sun. Cha-Cha (“Maria”) (starts at 12:49): The star-crossed lovers see each other for the first time and dance together. Meeting Scene (starts at 13:49): Music accompanies their first spoken words. “Cool” Fugue (starts at 14:32): An elaborate dance sequence in which the Jets practice controlling their hostility. Rumble (starts at 18:15): Climactic gang battle during which the two gang leaders are killed. One can find plenty of worthy performances of this work on-line, but I opted for this one, from July 2014, by the National Youth Orchestra, conducted by David Robertson. [Every summer, the Weill Music Institute, at Carnegie Hall, assembles young musicians from across the country (between just 16 and 19 years old) to form the National Youth Orchestra of the United States of America (NYO-USA).] I like the fact that it’s an American group playing music by ‘the musician of the American century’ (see quote by Woolfe in my intro). Even better, it’s being played by young people, a demographic to whom Bernstein conveyed his experience of music with such passion. (Bonuses = all of those sneakers, and Robertson’s silent cheer–complete with fist clenches–at the end). It’s a commitment, I know, but why don’t you consider setting aside about 24 minutes out of your day and taking a listen. It’ll be time well spent and will, I expect, excavate some memories for many of you. If you have a favorite Bernstein memory, or melody, please post a comment and tell us about it. (Really obscure) trivia tidbit: Richard Beymer (below, with Natalie Wood as Maria), who played Tony in the film of West Side Story, played Benjamin Horne, in David Lynch’s groundbreaking TV series, Twin Peaks (in both the 1990-91 [below, L] and 2017 [below, R] iterations). “[My father] was a man of many accomplishments, but he was proudest of his own achievements as a teacher. I can’t imagine a more engaging dinner companion. 1. 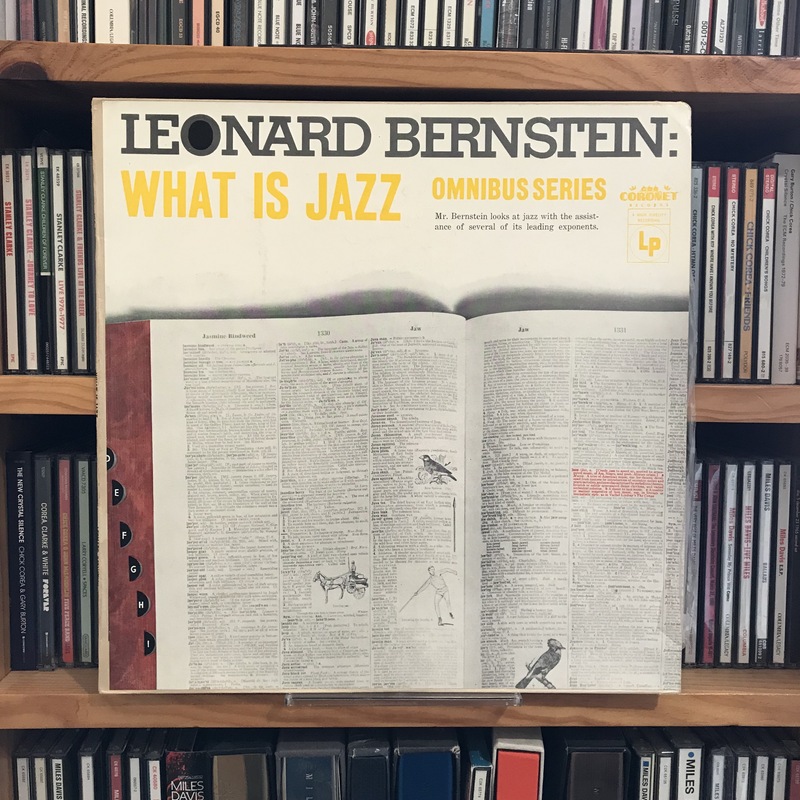 Favorite Overall Bernstein Album: This is easy … it’s his 1985 DG recording with the Vienna Philharmonic of the Haffner and Jupiter Symphonies. Parts of the fourth movement of the Haffner were taken at breathtaking speed and the strings occasionally have trouble keeping up with his exuberance. It may not be as technically “tight” as other recordings; but therein lies its magnificence. The recording of the Jupiter is – for me – the definitive recording of the work from which I judge all others. The second (slow) movement is sublime, with a beautiful fabric woven between woodwinds (especially oboe) and strings. The fourth movement is simply monumental. Each of Mozart’s brilliantly overlapping themes is expressed with balance; extreme tension is built, sustained, and broken by a few merciful moments of reprieve. Every time I hear this particular recording, I feel I should stop listening to classical music altogether, as there’s nothing left to hear (same reaction I had to the 2004 Red Sox). 2. Most Touching Album: His 1990 DG recording with the BSO of Beethoven’s 7th Symphony. It was his”Final Concert” and took place, I believe on his home turf, in front of a live audience in Tanglewood. I would have loved to have seen him perform this work in his “prime” years. But a life of conducting this work is clearly expressed and I wish I could have been there to see it live. He passed away shortly thereafter. John, this is one of the most thoughtful comments I’ve ever received, about any post, since I’ve been doing the blog. (It’s also the first and only one to connect Lenny and Wolfgang with Manny, Big Papi and crew…love it!) Thank you; I’m really glad you enjoyed it. I’m not familiar with the DG recording of the Mozart…I’ll need to investigate. I *do* own the “Final Concert”, and love both the Beethoven and Britten offerings. The Berlin performance is gooseflesh-generating. FYI: you should consider doing your own blog about music…your passion is on great display in your writing. Beautifully written! Glimmerglass performed West Side Story this year which I thoroughly enjoyed the first week in August! The singers, actors, dancers, acrobats, artists, set designers, musicians brought us into the action! Most memorable performance that piece I have experienced! So enjoyed your write up! Thanks, Anne…so glad you enjoyed it! Nicely done. Did you agree with Bernstein or not? Leonard Bernstein—what an incredible, multi-talented artist. He made concert music “cool” for a whole new generation. Growing up, I thought of Bernstein and New York City as some sort of integrated unit; he seemed to personify the ultimate New Yorker: suave, sophisticated, confident, innovative, and incredibly talented. Who can do him justice? Well, actually, you did! Not really in a position to take up your invitation, so will content myself with sharing things I enjoyed about this post. Firstly, the Woolfe para near the beginning. What a superbly crafted handful of words… and that final sentence is a killer! Next, the photo in Paris. The obvious goes for the rock-star coat and the conceit of being photographed in front of an image of yourself, but I love the fact that he’s older, face more lined, casually leaning against that European wall. but what I love most is the image of the apartment building ghosting the face of LB in the poster. There is something superbly new world – old world about that juxtaposition. Finally, another little bit of Bernstein trivia: a 1956 LP showing both his diversity of musical interests and that theme of education you highlighted. 76 entries! That might qualify as semi-restrained. I wouldn’t have guessed he’d top your list. I might have guessed Pink Floyd (in its various iterations), or maybe a Krautrock group…? A core factor is the actual number of releases, and in this department Miles exceeds almost all pop musicians. There are 53 Floyd entries, which isn’t bad for a band with only 15 studio albums. And I suppose if you add in solo releases that would bring it up to around 70. I imagine fans of the Rolling Stones might surpass these totals (but that’s not really me). Heeeeyyyyy JADB! This is great. Thanks for inspiring me to blast great music at home. (Easier in Pound Ridge, but testing my neighbors in NYC as well.) How ARE you??? What’s your choice for a ‘Bernstein blast’? !